Mixing smoothly wood and stone, the villa Tonga Soa will welcome you with dignity and with Malagasy accents and modern design. Its location directly near the sea and its wide spaces open to the outside areas allow you to benefit the natural light and natural surroundings. The lounge and the dining room of the villa Tonga Soa open are opened onto the ocean and offers the opportunity to enjoy relaxing moments with some drink. The living area has a beautiful bar with a refrigerator and a sink. The ground floor has two bedrooms that also benefit from natural light due to its huge bay window. 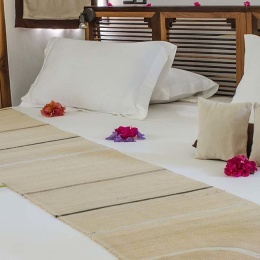 The amenities of each room are made of bathroom with private toilet. Upstairs is another large bedroom that features the same amenities plus a dressing room. In addition, this space is also opened onto a private terrace offering an overwhelming view of the beach. To relax, the Jacuzzi can receive up to 4 persons. There is also the Zen space with its garden and its indoor water wall. 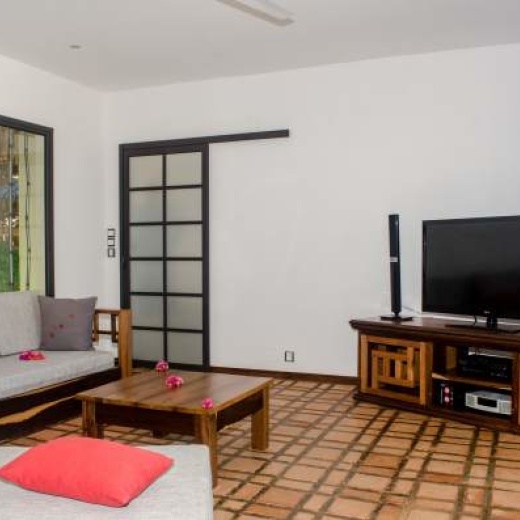 In addition to the 340 m² of interior space proposes by the villa Tonga Soa, your holiday rental will allow you to have a large flower garden, decorated by big palm trees and equipped with sun loungers. 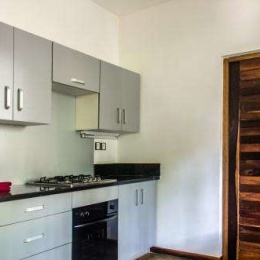 The kitchen of the Villa Tonga Soa comprises two refrigerators, a microwave oven, several hotplates, gas oven, coffee maker and kettle. A safe is available in the residence for the security of your valuable goods. An indoor lounge allows you to watch TV at any time in the day and in the night. In addition, the house has a home theater system and LCD TV. If you want to connect, Wifi connection can be activated. Finally, when you come back from the beach, the small outdoor shower helps you to remove easily the salt on your body.